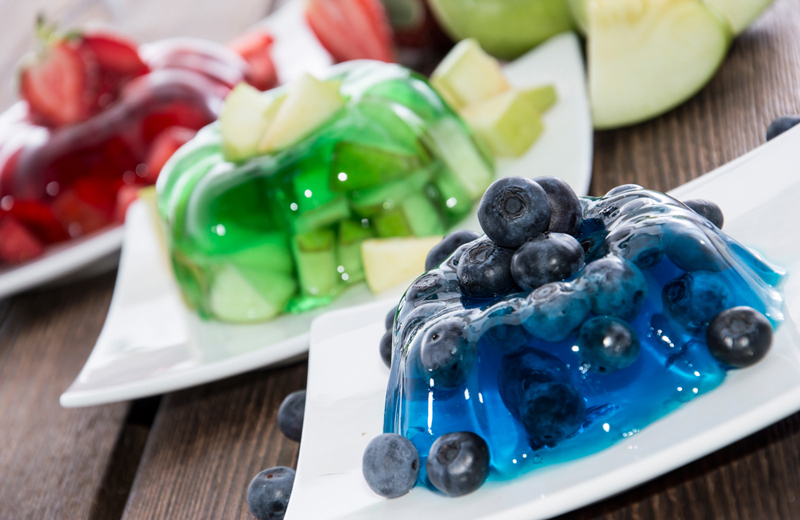 Jell-o is a very popular wiggly dessert, which is made from sugar and gelatin. It is interesting to know that Jell-o is the only chewable food item that you can consume while on a liquid diet. Most people get their Jell-o from Kraft Foods and it is designed to appeal to kids because of its consistency and colors but can also be consumed by adults. If you are curious about the preparation of Jell-o, you might have wondered the answer to this question: How long does Jell-o take to set? In this post, we are going to talk about the preparation time, how it is made, some of its benefits and its many uses. I hope that after you read this, you’ll be able to apply what you learn when you make Jell-o. How Long Does Jell-o Take To Set? Jell-o is made from gelatin powder, which comes in different varieties. Some are already flavored and some come in plain forms. Children love the flavored ones because they come in different flavors and colors. 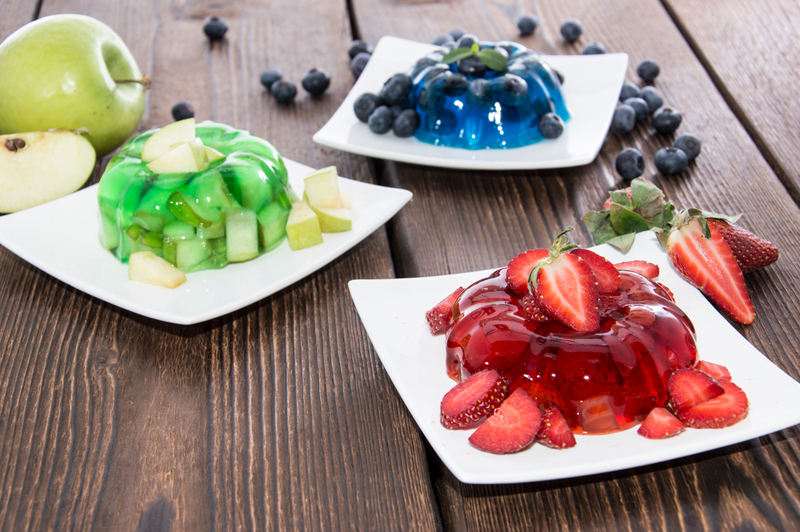 Jell-o comes in handy if you are having a party and you will be able to find many flavors and colors in the market. Unfortunately, there is no such thing as a shortcut in making Jell-o. You might think that placing it in the freezer will speed up the process but it does not work that way. In addition, doing so will just ruin your Jell-o. You should know that making Jell-o would take a lot of patience, especially if you want to make things right the first time. You should also be aware that freezing your Jell-o is also acceptable, just as long as you don’t leave it there for a long period of time. The result may be lumpy and gritty and you won’t be able to serve it to your family and guests if it looks unattractive. Ruined Jell-o would appear like it has frozen on top but is still liquid on the inside. To answer the above question, it would take 1 to 2 hours refrigeration time for the Jell-o to set. The time would also depend on how firm you want your Jell-o. Some would wait for at least 4 hours to make sure it has solidified firmly. In addition, your refrigerator’s temperature will also be a factor on how fast the Jell-o takes to set. Jell-o is a very easy and quick dessert to make. The easiest way to make one is through the use of powdered ones, which are already pre-flavored and sweetened so you won’t have to worry about that anymore. However, if you have lots of time to spare, you may also do so from scratch and you may also add fruits to make it even healthier. Mix a cup of hot water with a packet of Jell-o in a bowl and keep stirring until there are no remaining powdery granules left, which would take around 2 to 3 minutes. After that, add a cup of cold water and mix it with the contents of the bowl. Using ice cubes, surprisingly, can make the Jell-o set a little faster. To make the mold more interesting, you may pour it into a container that is shaped according to your preferences. You may also add fruits if you desire it. Once you have added the fruit, stir it quickly to make it disperse into the mixture. Berries, grapes, and orange pieces would make a great addition to your Jell-o mixture. Place the mixture in the refrigerator and wait for it to set. As discussed above, it would take at least a few hours and will also depend on the temperature of your refrigerator. You can make a quick test to check how firm the Jell-o is by pressing your finger against it. If it does not stick to your finger, it is a sign that the Jell-o is ready to be consumed. 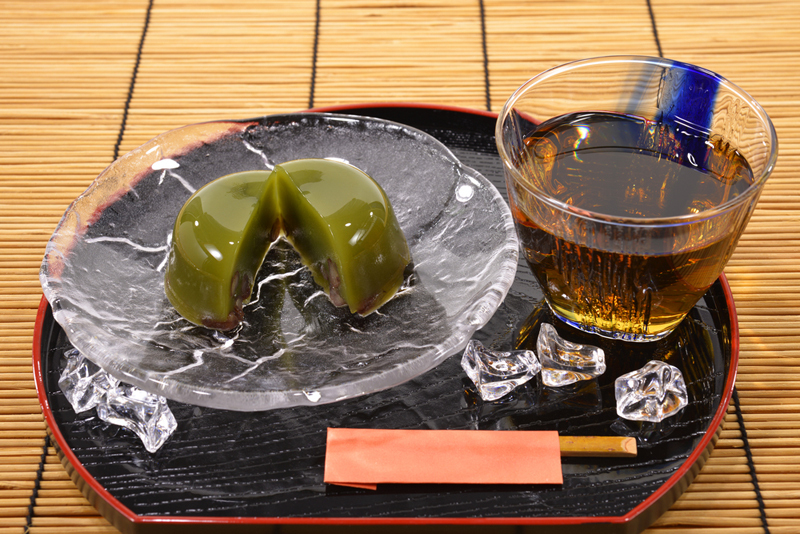 What Are The Health Benefits Of Consuming Jell-o? Did you know that consuming Jell-o has a lot of health benefits? 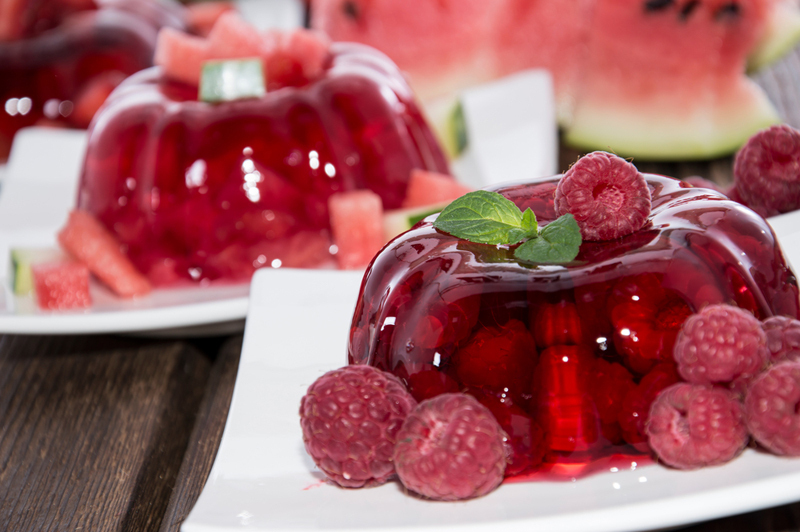 Jell-o is basically a processed form of collagen, which when mixed with water will create a jelly-like substance. To add, consuming collagen will be able to help you improve your overall well-being and health. Consuming Jell-o will give you gorgeous skin; it can heal your gut and improve your joints. It will also help in preventing osteoporosis and can help in weight loss. It also has a calming substance and it can keep your teeth healthy. It is also a great source of protein and can also reduce cellulite. What Are The Most Popular Uses of Jell-o? Using Jell-o to bake a cake can give a surprisingly moist result. After it has cooled, you may use a fork to check if the Jell-o is firm enough to be served. However, it may take a day for the Jell-o to set but the best part is that you can use as many flavors and colors as you want. You can also use Jell-o to dye your hair temporarily. It will wash out after 7 to 10 washes but it can be a great alternative to the regular hair dyes. Another great use of Jell-o is that you make marshmallows with it. Since regular marshmallow are made with unflavored gelatin, you can make flavored marshmallows using flavored Jell-o. 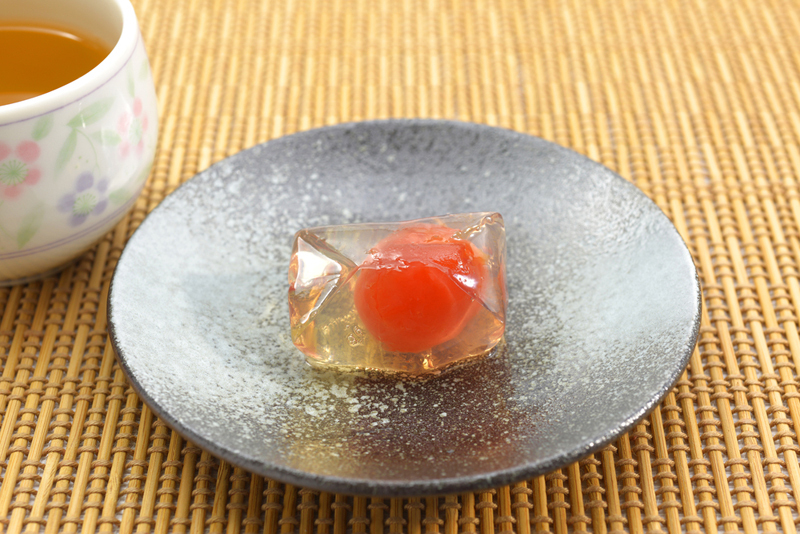 It takes 2 to 3 hours for Jell-o to set and it will also depend on the temperature. It is not advisable to freeze Jell-o as it may ruin the batch when left inside the freezer for a long period of time. Jell-o is made through mixing its powered version with water and refrigerating it until it becomes solid. There are a lot of health benefits consuming Jell-o can provide such as it being a great source of protein and help in weight loss, among others. Jell-o, aside from being a great dessert, can also be used to make marshmallows and hair dyes.